TC Cricket Bats - Endorsed by England captain Joe Root. TC LE Cricket Bat, TC 1260 Cricket Bat, TC 860 Cricket Bat, TC 560 Cricket Bat. DC Cricket Bats - Endorsed by Australian captain Steve Smith. DC LE Cricket Bat. 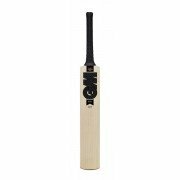 DC 1080 Cricket Bat, DC 880 Cricket Bat, DC 580 Cricket Bat. Classic Collection Cricket Bats - Endorsed by current England opening batsman and Test leading Run scorer Alastair Cook. The Classic collection offers a beautiful variety of bats suited for all standards of crickets that ensure a real presence and unrivalled confidence at the crease. We are stocking the following: Legend, Pro Performance, Players, Prestige, Scoop and Select Cricket Bats. Predator 3 Cricket Bats - Endorsed by England and Warwickshire All Rounder Chris Woakes. The Predator 3 collection offers a mid blade sweet spot and effective performance. We are stocking the following: Predator 3 Limited Edition Cricket Bat, Predator 3 Players Cricket Bat, Predator 3 5 Star Cricket Bat, Predator 3 4 Star Cricket Bat, Predator 3 Blade Cricket Bat. Velocity XP 1 Cricket Bats - Endorsed by England Lions wicket keeper batsmen Ben Foakes and Joe Clarke. The Velocity XP 1 collection has been designed with the modern cricketer in mind. The need for explosive power and force has been encapsulated in this blade and we are happy to stock the following: Velocity XP 1 LE Cricket Bat, Velocity XP 1 Players Cricket Bat, Velocity XP 5 Star Cricket Bat, Velocity XP 4 Star Cricket Bat, Velocity XP 1 PowerBlade Cricket Bat and the Velocity XP 1 Academy Cricket Bat. KABOOM David Warner 31 - Endorsed by Australian international David Warner, the Kaboom 31 range allow batsmen to be explosive and powerful at the crease, just like their ambassador. 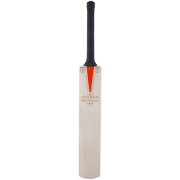 SWB7 Cricket Bats - Endorsed by England Twenty20 wicket keeper batsman Sam Billings, The SWB7 Nemesis 600 is the bat for explosive Twenty20 players. Hero v2 Cricket Bats - Available in the 707 and 909 range, the Gunn & Moore Hero v2 cricket bat contains awesome visuals and a mean willow. 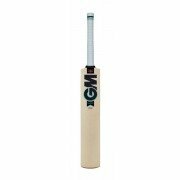 Not only that, this specially selected, hand crafted willow is exclusive to All Rounder Cricket! Haze DXM Cricket Bats - Endorsed by England batsman James Vince, this blade contains a lightweight profile and high sweet spot and is new for 2019 at All Rounder Cricket. We are currently offering the following in the Haze DXM range: Haze DXM Lite Cricket Bat, Haze DXM 606 Cricket Bat & Haze DXM 404 Cricket Bat. Kaha L525 Cricket Bats - The Kaha range contains a powerful profile and has been specially crafted for Twenty20 cricketers, with the game evolving, Gunn & Moore have created a bat with a low swell and middle for aggressive, powerful cricketers. We are currently offering the following in the Kaha L525 Bat range: Kaha L525 Original Cricket Bat, Kaha L525 808 Cricket Bat, Kaha L525 606 Cricket Bat, Kaha L525 404 Cricket Bat. 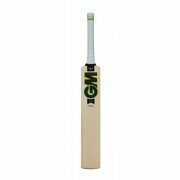 Chrome L555 DXM Cricket Bats - The Chrome range was used by Joe Root who was the Man of the Series in the 2015 Ashes and became the Number 1 Batsman in Test Cricket. This beautiful range included a Elongated Swell Height, Powerbow Arc and Concaved Back Profile. Of course it is made in England from Prime English Willow. We are currently stocking the following bats in this range: Chrome L555 DXM LE Cricket Bat, Chrome L555 DXM Original Cricket Bat, Chrome L555 DXM 808 Cricket Bat, Chrome L555 DXM 606 Cricket Bat and Chrome L555 DXM 404 Cricket Bat. Zelos Cricket Bats - The Kaha range contains a low to mid blade sweet spot, specifically crafted from the best willow, engineered for the elegant touch player. We are currently offering the following in the Zelos Bat range: Zelos DXM LE, Zelos DXM Original Cricket Bat, Zelos DXM 808 Cricket Bat, Zelos DXM 606 Cricket Bat, Zelos DXM 404 Cricket Bat. Neon L540 DXM Cricket Bats - The Neon range contains a significantly shorter blade, designed for players to get their hands quickly through the ball which improves and enhances bat speed making it a must have for wristy stroke makers. We are currently offering the following in the Neon Bat range: Neon L540 DXM LE Cricket Bat, Neon L540 DXM Original Cricket Bat, Neon L540 DXM 808 Cricket Bat, Neon L540 DXM 606 Cricket Bat and Neon L540 DXM 404 Cricket Bat. Kahuna Cricket Bats - Endorsed by cricketing legend Ricky Ponting as well as currently being endorsed by explosive batsman Martin Guptill, the iconic Kahuna range returns to All Rounder for the 2019 season with the traditional green style, containing a mid-blade sweet spot, powerful profile and visibly large edges. We are currently offering the following in the Kauna Bat range: Kahuna Pro Cricket Bat, Kahuna 2500 Cricket Bat, Kahuna 1000 Cricket Bat, Kahuna 600 Cricket Bat and Kahuna LITE Cricket Bat. Ghost Cricket Bats - Endorsed by England All Rounder Liam Dawson, the Ghost Cricket Bat contains pristine white visuals as well as a maximised sweet spot due to the optimisation of the willow containign in the striking area. We are currently offering the following in the Ghost Bat range: Ghost Pro Cricket Bat, Ghost 1250 Cricket Bat, Ghost 700 Cricket Bat and Ghost LITE Cricket Bat. Fever Cricket Bats - New for 2019, The Fever Cricket Bat contains an innovative look with two different designs as well as a mid blade sweet spot. We are currently offering the following in the Fever Bat range: Fever Max Cricket Bat, Fever 800 Cricket Bat, Fever 300 Cricket Bat. Surge Cricket Bats - The Surge Cricket bat contains aesthetically pleasing visuals as well as a unique shaping to the toe improving the quality of the pick up. Combining this with a mid to low blade bow, this bat is destined to help you make noise on the pitch. We are currently offering the following in the Surge Bat range: Surge Pro Cricket Bat, Surge 1500 Cricket Bat, Surge 800 Cricket Bat, Surge 400 Cricket Bat. The Adidas Bat Range continue for 2019 with a fresh look for the Libro and XT ranges.